The CWC2019 comes to these shores (well England and Wales) next year from 30th May to the final on 14th July 2019, so it’s coming home anyway and by our recent performances against the Aussies and Indians this ones in the bag already (yes, I know about the Scotland game but let’s just try and forget about it yeah?). So, a quick word on tickets, games and venues. Below I’ve included a master table of all games and also (further below) a mini table for each nations games (and each grounds games too). Might be helpful when figuring out which matches to book. How to book? Booking ‘registration’ opened yesterday. You MUST register at https://tickets.cricketworldcup.com BEFORE the 1st August 2018 to be able to book via the Public Ballot. So go and do that right now. The actual booking of tickets (the Public Ballot) is open from 10AM 1ST AUGUST 2018 – this is when you can login with your registered account and select the games and type of ticket you’d like to purchase. Maybe it’s a coincidence that England’s first Test match in a series of 5 against India begins at 11AM on the 1st of August!!! The Information Technology landscape I work in has changed rapidly, and continues to evolve at pace. The common challenge I find now is that many in the IT field are finding it difficult to keep up with the learning needed to remain relevant in the job marketplace. Before I dive into new posts on the technology areas I’m most enthusiastic about I think it’s important to explain fundamental learning principles, how to remember content and how to remain motivated to learn. When you learn something, anything, it involves one or more of the above. For future learning (e.g. a textbook you want to read, a course you want to take) try to break down the learning goals into the above 3 elements. What new knowledge will you gain? What transferable skill will you learn? What traits will you continue to develop? So instead of just cramming information into your head you can focus on the development of all 3 elements as part of one overall task. I think there’s a gap in the market which recruitment agents could potentially exploit. It’s been many years since I stopped contracting. Now back on the market little has changed in my communication with them. Lots of roles, lots of JDs, lots on interest. The gap exists between what the JD says and what your CV/experience says. I really think Recruitment Agencies should start an element of providing Skills Training. No not for new up & coming agents to teach them sales techniques, pipeline management etc. No, I think they should offer courses in real world IT skills, if anyone knows where the real skills shortage is it’s recruitment agencies. As I predicted a few months back, the new exam has been released while the current one with outdated content will only be available until 12th AUGUST 2018 – after that it will be retired. Right now you have a choice of sitting either the new or old exam. I strongly advise you to sit the new one. Please. Anyone planning on taking the new AWS Solution Architect Associate exam now has an updated blueprint to follow and a requirement to use the latest AWS configuration information. I like the word ‘Performant’ – sounds almost made up! I recieved an email from AWS today inviting me to sit a new Beta exam for the AWS Solution Architect Associate certification. Due to the rapidly evolving nature of cloud based services the current exam tests knowledge that was valid and correct a number of years ago, and is not necessarily correct in AWS today. A great example is ‘How long does it take to retrieve data from Glacier storage?’ – the answer expected in the current exam is 3-5 hours. So an update is due to the exam soon, which is a good thing. The email states “new exam featuring questions that reflect new and updated AWS features, services, and best practices”. However I suspect the new exam is due early 2018 – as the email states that any exam results for those who sit this new beta would be available in 3 months!!! Good luck for those studying. You can access my old Associate level notes in my AWS bucket here – which I did update in January 2017 as I was preparing for my Professional Exam. With GDPR on the horizon and many organisations rapidly moving to Office 365, Azure services, Skype for Business and SharePoint online it seems many are not 100% clear on the distinction of responsiblities between their organisation and Microsoft themselves. The plain bare fact is that YOU and your organisation are responsible for your data. All of it. Not Microsoft, sure they provide the service and there are SLA’s associated with those services – but those SLA’s can still be met if even if all your data was maliciously or accidentally erased i.e. the service is still running (even though all your data is gone!). Microsoft are not responsible for backup or restore of your data. Again, you might say there is 30 days backup for Office365 and 14 days for SharePoint online – but this only provides a limited amount of protection against data loss. Believe it or not any restore requirements are on a best effort from Microsoft as oppsed to tied to a distinct SLA. 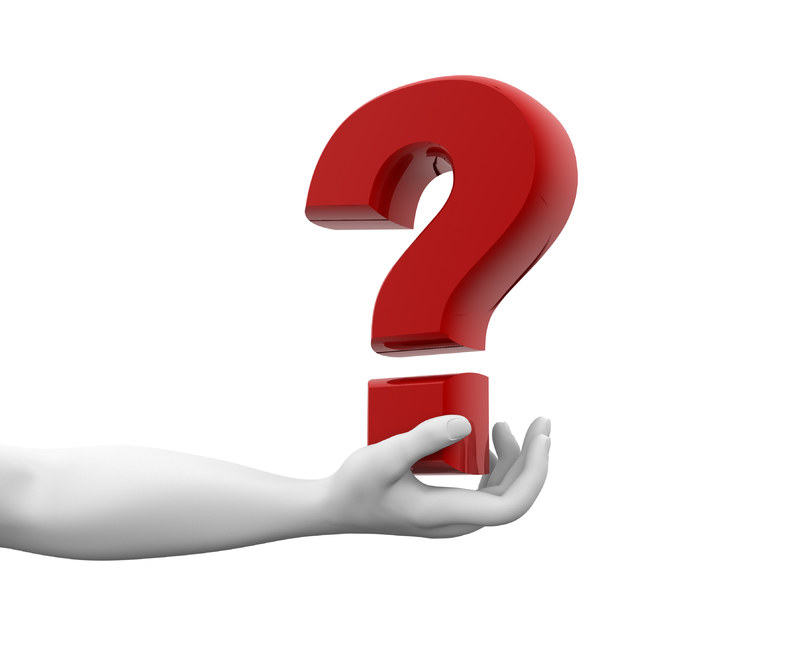 As with all cloud services, functionality and features continually change and evolve, a good thing generally BUT when talking about backup/restore and data loss this uncertainty around continual change represents a significant risk to your critical data. Granular restore of a specific document in SharePoint online? Forget it, it’s either the whole Site Collection (yes, everything!) or nothing. 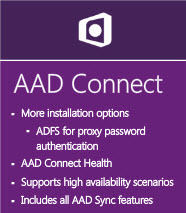 Installing the AD DS role onto a Azure virtual machine? Creating a Domain Controller in the cloud? Are you sure you want to do this? 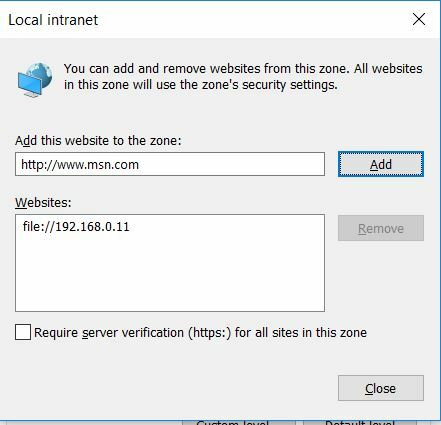 For all Domain Controllers you create on an Azure virtual machine, in addition to the system OS disk (C:\) you MUST add a dedicated disk and ensure thatyour AD DS install wizard or script uses this dedicated disk as the location for both the Active Directory database (NTDS) and the replicated system volume (SYSVOL) during the Role installation. Failure to do this risks the corruption of your Active Directory database. “Data disk drives do not cache writes by default. Data disk drives that are attached to a VM use write-through caching. Write-through caching makes sure the write is committed to durable Azure storage before the transaction is complete from the perspective of the VM’s operating system. It provides durability, at the expense of slightly slower writes. This is important for Windows Server AD DS because write-behind disk-caching invalidates assumptions made by the DC. Windows Server AD DS attempts to disable write caching but it is up to the disk IO system to honor it. Failure to disable write caching may, under certain circumstances, introduce USN rollback resulting in lingering objects and other problems. Set the Host Cache Preference setting on the Azure data disk for NONE. This prevents issues with write caching for AD DS operations. Billed as an event where the future direction of Microsoft (and its partner network) would head in the next 3-5 years I thought it worth heading to London for the ‘Technical’ Day. It was a 2 day event but day 1 on Tue 1st November 2016 was billed as ‘Business Day’, so of course I booked in for the geek chic on the 2nd Nov. So, I predicted at the beginning of this month that Saudi will announce Eid al-Fitr as Wednesday 6th July and therefore completing 30 fasts for Ramadan (for those who started on a Monday). Please see tomorrows (evening of Tuesday 5th July) chart below, it shows clear new moon visibility in much of the Middle East, northern Africa, parts India, south east Asia and the whole Americas. If you started on a Tuesday in any of these regions, you will complete 29 fasts only and do Eid al-Fitr on Wed 6th July. Now let’s talk about the UK, strictly speaking the chart above shows no local sighting is possible in much of Europe including the UK. No sighting at all. Therefore depending on how your local mosque or community make the decision the following might apply. 3. If based upon a LOCAL sighting then strictly speaking the new moon is NOT visible on Tuesday 5th July (but will be on Wed 6th July, see chart at end). This is where it gets interesting…IF you started on Monday then you will have completed 30 fasts on Tuesday 5th July and therefore MUST do Eid al-Fitr the next day. You simply cannot keep 31 fasts. Only for those who started Tuesday would Eid al-Fitr on Thursday 7th July be valid – to me this validates the position of local sighting and my previous blog post on the start of Ramadan 2016. To summarise, both Wednesday 6th July and Thursday 7th July 2016 are valid dates for Eid al-Fitr in the UK, strictly speaking neither is wholly right or wholly wrong. What does matter is how you came to the decision and that you stick to this principle all the time. The sticking matter of the unification of start of Ramadan and dates for Eid in the UK are primarily based upon the differing (yet valid in most cases) decision making mechanism that is used. Don’t expect all mosques & communities to agree and for there to be a unified date going forward – this is unlikely to happen. One of the issues is the Umm al-Qura calendar. Good luck, God bless and Eid Mubarak where you are. In a future post I will attempt to demystify the lunar cycle and hopefully increase people’s understanding of this issue. As usual confusion as to when Ramadan begins this year is abound. IT really does surprise me as to how a LOT of people cannot get their heads around basic astronomy and continue to ignore facts – oft blaming those using facts of being ignorant themselves. Islam uses a Lunar calendar. From one new moon until the next is called a Lunar month and is usually 29.5 (29 and a half) days. So please understand clearly that a Lunar month doesn’t fit nicely into the category of exactly 29 or exactly 30 days, it is squarely in between. Getting to the point. Sighting of the new moon (‘hilal’) for the beginning of any Lunar/Islamic month is NOT a religious matter. It is a scientific one. Ramadan is the 9th month of the Islamic calendar, the month preceding is called Shabaan. So when does Shabaan end and Ramadan start? Official Microsoft support for DirSync (x64, single forest) and Azure AD sync (multiple forests) ends within a year on April 13th 2017. Of course end of support does not mean your sync tool of choice will stop functioning – it will happily continue to function, but an upgrade will be needed to ensure it remains in support from next year onward. So seriously consider upgrading this side of Christmas, and not next Easter. You have been informed!